It is 1980 and Nathan King, a freelance photographer, is on an assignment in Tibet when he comes across an ancient monastery cut into a mountainside. What he discovers there leads him into a web of intrigue and suspense. 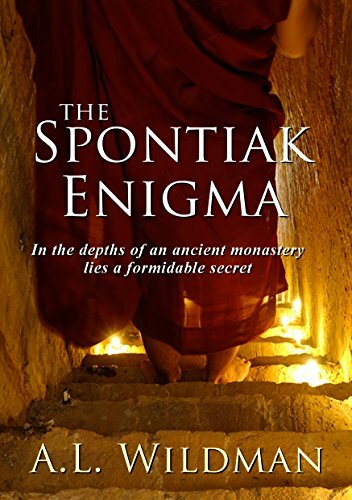 Who is Spontiak and why should Nathan's quest to know more cause an attempt on his life? Back in Dorset, England, Martha Kemp is watching the nocturnal wildlife from her bedroom window when she witnesses a disturbing incident. When she later encounters an old acquaintance, Liz Stone, who confides in Martha her concerns regarding a friend, Martha realizes her secret past will have to be revisited. Meanwhile, the mysterious lodger at 14 Lime Place, Kensal Rise, is well thought of by his landlady, but soon doubts begin to stir. Not all are destined to survive but all will play a role in unravelling the Spontiak enigma.